Process analytical sensors can require scrupulous levels of attention and maintenance to continually deliver optimum performance. In some cases, overly frequent or involved maintenance is performed in order to avoid problems. Mettler Toledo, globally recognized leader in the development of process analytical sensors, developed a solution to streamline sensor maintenance and maximize reliability and performance. 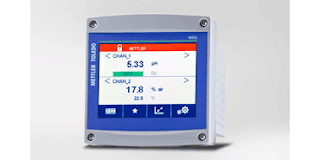 The iSense software suite supports Mettler Toledo's line of intelligent sensors, monitoring and documenting sensor performance while maintaining real time indications of time to maintenance and calibration. Essentially, the iSense software provides guided sensor maintenance and continually verifies the operational health of the sensor to assure that delivered data is accurate and reliable. There is much more to learn about how the iSense software and comprehensive offering of intelligent sensors can enhance process performance, as well as the efficiency of analytical operations. Reach out to a process analytics specialist with your analytical measurement challenges. Combining your process knowledge and experience with their product application expertise will yield an effective solution.